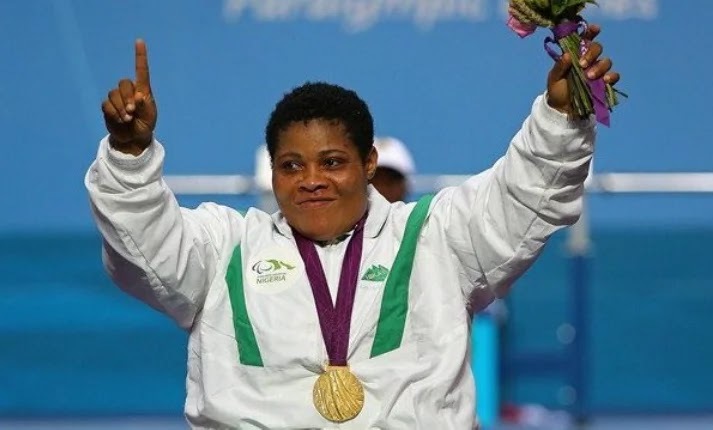 Once again,what the abled athletes of Nigeria coudn't achieve at the Olympics has been done by the Nigeria Paralympic team.i saw a story yesterday that highlighted how bad Nigerian disabled athletes are treated after winning laurels for the country.I hope this will not be the case for our new medalists at the 2016 Paralympics. Rolland Ezuruike won the first Gold for Nigeria in the on going Rio 2016 Paralympic games, when he lifted 200kg in the men’s 54kg to beat China’s Jian Wang and Greece’s Dimitrios Bakochristos to the top prize. It is Nigeria’s first gold and the second medal in the games. 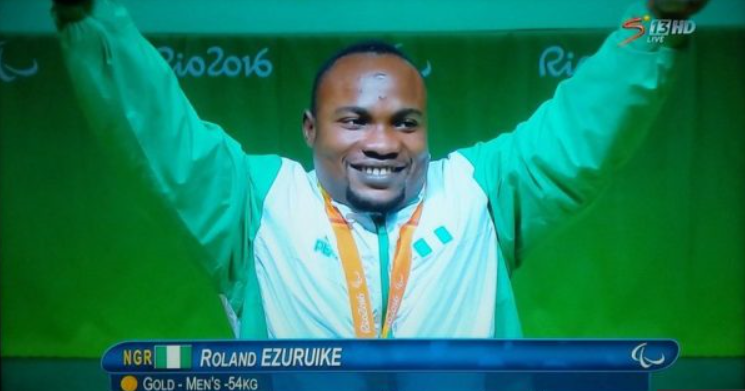 The Gold medal was the first in the games for Nigeria but the 2nd medal so far. lifting event with a lift of 106kg. China’s Dandan Hu won gold with a lift of 107 kg while Zoe Newson of Great Britain won the bronze medal. Tijani entered the competition at 101kg, while other competitors attempted below 100kg. Tijani lifted 106kg to come second after going back and forth with China's Hu who eventually won the competition by clinching a Gold medal.